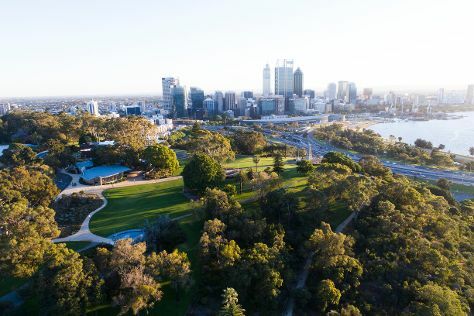 Start off your visit on the 28th (Sun): contemplate the long history of The Perth Mint, then pause for some photo ops at Kings Park War Memorial, and then walk around Kings Park & Botanic Garden. Keep things going the next day: contemplate the long history of Fremantle Prison and then explore the activities along Swan River. London, UK to Perth is an approximately 20-hour flight. The time zone difference when traveling from London to Perth is 8 hours. When traveling from London in April, plan for much hotter days in Perth, with highs around 31°C, while nights are a bit warmer with lows around 15°C. Finish your sightseeing early on the 29th (Mon) so you can travel to Esperance. Esperance is a town in the Goldfields-Esperance region of Western Australia, on the Southern Ocean coastline approximately 720km east-southeast of the state capital, Perth. Start off your visit on the 30th (Tue): enjoy the sand and surf at Lucky Bay, kick back and relax at Twilight Bay, and then don't miss a visit to Esperance Whale Tail. Get ready for a full day of sightseeing on the 1st (Wed): make a trip to Ten Mile Lagoon Wind Farm, then admire all the interesting features of Great Ocean Drive, then see the interesting displays at Esperance Museum, and finally trek along Rotary Lookout. To see photos, other places to visit, and more tourist information, use the Esperance day trip planning app . Getting from Perth to Esperance by flight takes about 4 hours. Other options: drive; or take a bus. When traveling from Perth in April, plan for little chillier days and about the same nights in Esperance: temperatures range from 26°C by day to 14°C at night. Wrap up your sightseeing on the 1st (Wed) to allow time to travel back home.